This 4,500 year old Chinese health system is based on the premise that internal harmony is essential for good health - and is concerned with the vital energy - called "chi" (or "qi") (pronounced chee) which ebbs and flows. The Chi is said to flow through 14 invisible channels called meridians and practitioners attempt to correct the imbalance by inserting thin needles at designated acupoints. There is no real pain when the needles are inserted, and can be manually twirled or electrically stimulated, to enhance the balancing effect. The depth at which the needles are inserted vary - from a fraction of an inch to 3-4 inches - all depending on where they are applied. 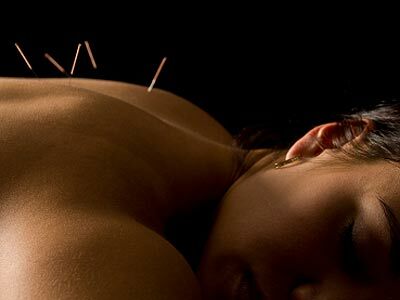 Should you visit an acupuncturist insist that the needles used be new or properly sterilized. Acupuncture practitioners also make use of treatments called moxibustion, where a herb mixture is lit to produce heat on the acupoints, instead of needle insertion. The herb mixture used is normally mugwort leaf. Traditional Acupuncture: The Law of the Five Elements by Dianne M Connelly.